It’s no secret that since The Great Recession of 2008, museums, cultural heritage, and cultural arts organizations in the United States are still suffering financially. For each of these organization types, the expense of owning or leasing a large building, maintaining a staff, and offering compelling programs can make it difficult to survive year to year. Grants of any moderate amount are increasing in competition. For museums, 2008 marked a shift in donor and corporate giving behaviors largely due to the financial impact of the recession. In addition, many grant funding agencies, especially those with ties to municipal budgets, have not successfully augmented their award capacity to keep pace with the growing volume of applications. Ten years later, we see museums of all shapes and sizes struggle to keep their doors open. When museums find themselves in this situation there is almost no ability to cut the budget in areas that would make a significant enough difference. Often, this is because they’re already operating on razor-thin budgets. It leads many to wonder “How will museums survive?”. Since the recession, museums have been confronted with the crushing choice of how to cut off pieces of themselves in order to survive. Performing a Google search for “museums selling collections” will reveal multiple pages of results—eight separate news items for the month of November 2018, alone. The awareness of museums selling collection items begins near 2010 and there is no indication of this trend slowing, let alone stopping. Selling parts of museum collections can have serious legal and ethical implications and, with few exceptions, is frowned upon by the museum community-at-large. 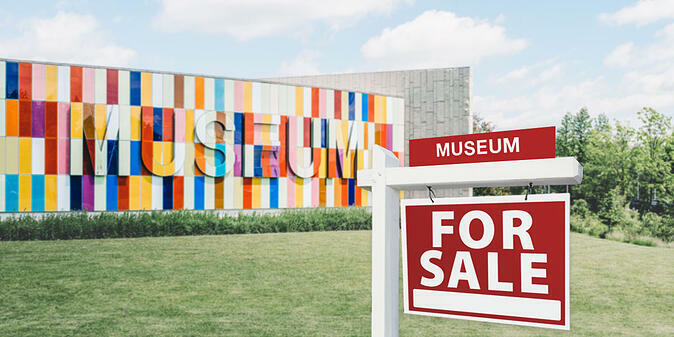 Museums don’t want to be in a position where they have to sell, and several authorities and stakeholders insist they can’t sell, leaving museums with little other recourse to navigate an impossible financial situation. In 2017, the selling of museum collection pieces finally reached a point where the American Alliance of Museums published Questions and Answers about Selling Objects from the Collection. While the piece does illuminate the many nuances of the legal and ethical quandaries of selling museum collection pieces, it still leaves museums wondering, “If we can’t sell, then how do we survive?”. Once a museum has reached a point where it can no longer afford to operate, it has few choices to consider, the main two being to close completely or attempt to merge. With sad irony, to close the museum will most likely involve an element of selling and disbursing its collection anyway. We’ve already seen museums close, and the truth is, these won’t be the last. But what happens if a museum doesn’t have enough money to pay off its debt? Answer: Collection items are sold with little to no input allowed from the museum. Or, there is the option to merge. While it is a more optimistic option, finding a partner to merge with isn’t easy, even with a financial climate that may make the majority of museums inclined to partner up. As with companies, museum mergers are tricky. Missions, stakeholders, services, and complimentary collections have to align. And then there’s the question of who pays for what? The Higgins Armory Museum in Worcester Massachusetts closed in 2011 reportedly due to financial complications compounded by the recession. Merger decision: The Higgins Armory Board determined that the successor to own the artifacts should be Worcester Art Museum, a nearby (geographically) and topically adjacent museum. The Worcester Art Museum accepted most, but not all, items in addition to a $7.5 million "dowry" for the Higgins collection object conservation and exhibition costs. Corcoran Gallery of Art in Washington, D.C. closed in 2014 allegedly due to “financial blunders” and an unrealized $200 million design expansion. Merger decision: The art collection went to National Gallery of Art and the art school was organizationally rehoused at George Washington University. The Philadelphia History Museum closed its doors in June 2018 apparently due to an inability to increase its revenue. The fate of the museum is currently unclear as it’s failed twice (so far) to find merger partners. Previous partnerships were explored with Woodmere Art Museum and, later, Temple University. Since the fallout of the recession, museums continue to struggle financially and it makes one wonder if museum mergers will be an oncoming trend. As of yet, there is no definitive blueprint for museums to navigate a financial crisis, nor are there many guidelines for what to do when the worst possible scenario occurs. The American Association for State and Local History published a position paper that provides some guidance on the matter. And while no one wants to plan on a future where we see many more museums permanently closing, we can no longer ignore a 10-year trend of them doing so. More literature and resources need to be dedicated toward helping museums navigate financial crises, and should the worst happen, help the museums through the emotional, legal, ethical, and logistical labor of closing of a museum. Rachael Cristine Woody is a guest author for Lucidea’s Think Clearly blog. 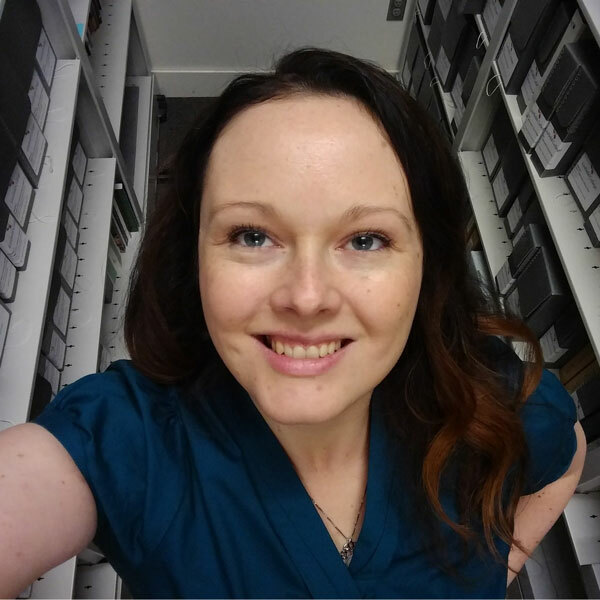 Rachael provides services to museums, libraries, and archives. See her articles on Finding Museum Grant Funding Opportunities and When to Hire a Grant Specialist. See all Think Clearly blog articles on museum funding.